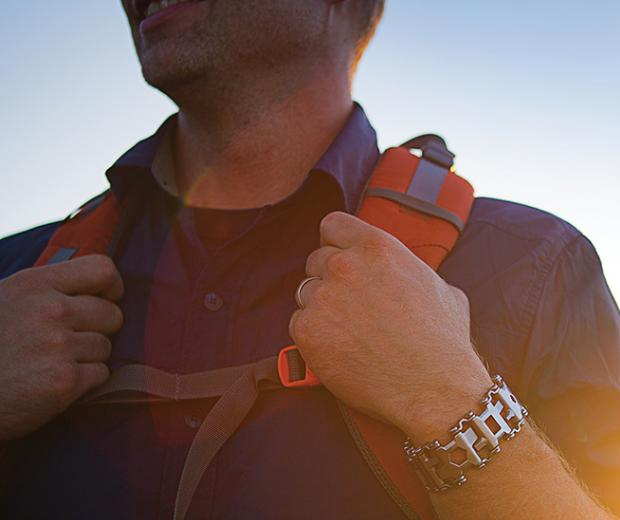 Multifunction items are great. My toaster is also a fleshlight. The hamster cage doubles up as a blender. And my son is a bespoke reactive punchbag. 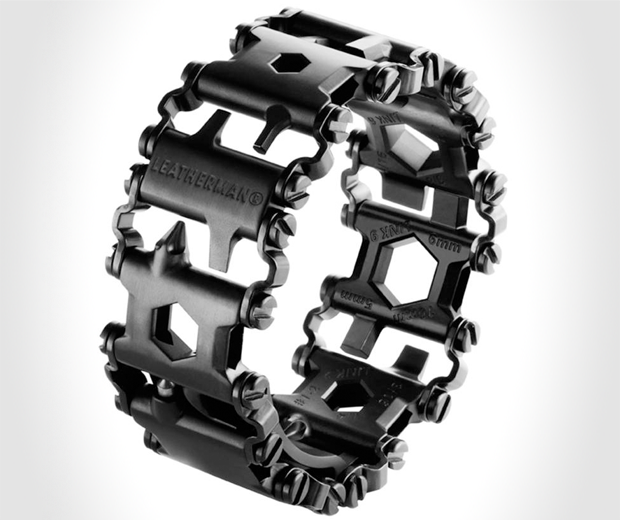 In this vein comes the Leatherman Tool Bracelet. Their slogan “You don’t have to be a tool to wear one, but you are and also an idiot” hasn’t gone live yet, but it will. 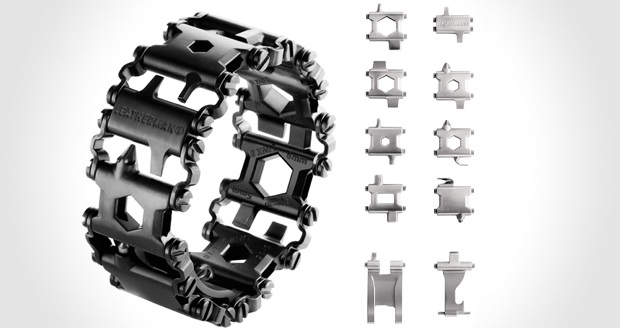 This high strength corrosion resistant stainless steel bracelet contains 25 different tools, including hex wrenches, a can opener, screwdrivers and a pulsating Ion cannon. Oh wait, they took that off. 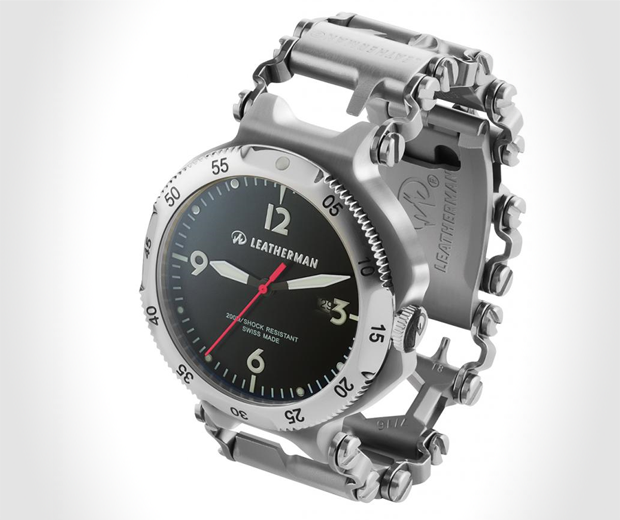 There are plans to add a Swiss made timepiece in the coming year, which also makes it a watch. Isn’t that nice. Although a chainsaw would be better.